BlackBerry is late in the game with respect to touchscreen devices but with the flagship BlackBerry Z10, the company is hoping it will help revive the ailing brand. It’s been only a short while since the BlackBerry Z10 was made available in the market so it’s too early to say whether the BlackBerry Z10 will indeed help the company. Reviews on the BlackBerry Z10 are mixed but most of them are at least positive, especially with respect to the BlackBerry 10 operating system. 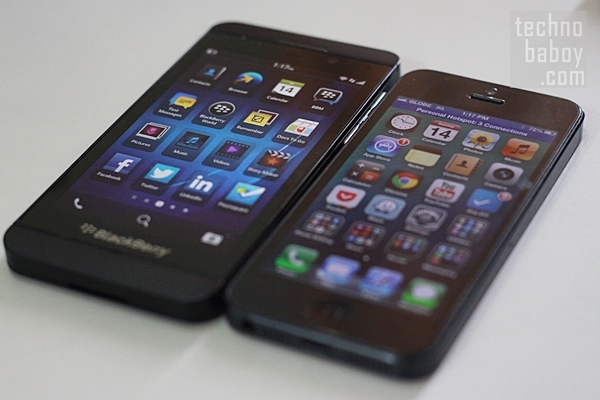 Is the BlackBerry Z10 as good as the company trumpets it to be? Read the review to find out. BlackBerry devices are generally good. The company’s QWERTY phones like the Bold series are well-made and have design elements that made them distinctive. The current BlackBerry phones are no different. I liked the design and construction of the BlackBerry Q10 and my opinion on the BlackBerry Z10 is the same. The phone is a combination of some metallic and plastic parts, with the plastic making up the removable back cover while the frame is made of some brushed aluminium. The Z10 is an all-black affair with only a few silver accents on the device like the power button on top and the volume rocker on the side. 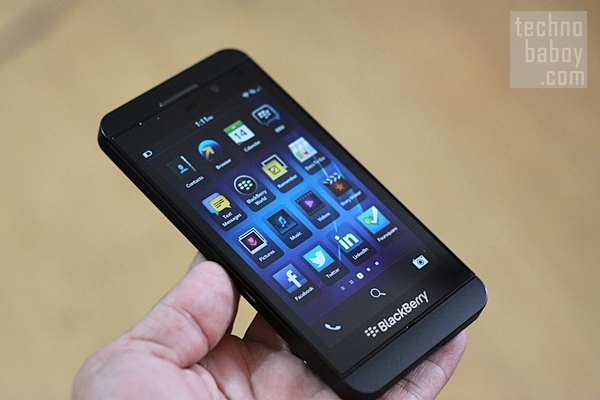 The BlackBerry Z10 is rounded on the corners so it feels nice when held. It’s noticeably thin, but not as thin as the iPhone 5. A side by side comparison confirms that the Z10 is a hair thicker. 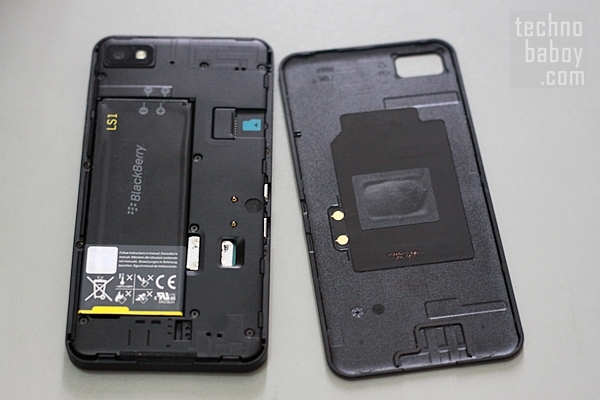 However, when the bigger size of the BlackBerry Z10 is taken into account, the effect is just the same. The BlackBerry Z10 is also light for its size and the use of plastic back cover likely helped in bringing the weight down. 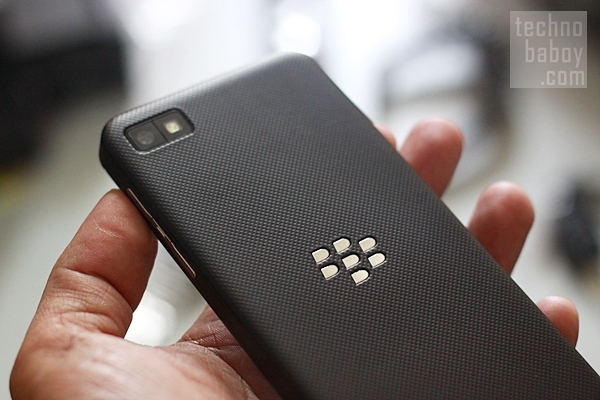 Overall, the BlackBery Z10 is a good-looking device with a premium feel to it. It feels more boxy than the Samsung Galaxy S4 but it’s still comfortable to use. What I don’t like about the design of the BlackBerry Z10 is the fact that there is a lot of space on top and at the bottom of the front panel, making the phone unnecessarily bigger than it should be. The BlackBerry Z10 has a 4.2-inch display with 1280×768 resolution that translates to a density of 356ppi. It runs on a 1.5GHz dual-core CPU paired with 2GB of RAM and has 16GB of internal storage with microSD card slot for expansion up to 64GB. Imaging tasks is courtesy of an 8-megapixel BSI auto-focus rear camera and a 2-megapixel front-facing camera. The BlackBerry Z10 is powered by a 1800mAh removable battery and has practically all connectivity options like Wi-Fi, 3G, NFC and LTE. It even has a micro HDMI port in case you want to project your media to a bigger medium like a TV. It’s worth mentioning that the 4.2-inch display on the BlackBerry Z10 is one of the best-looking displays I’ve seen on a smartphone. Color reproduction is great and it has a really good viewing angle. The BlackBerry Z10 is smooth and fast. Compared the the Q10, the Z10 delivers a much smoother experience overall, which is quite baffling since they both run on the same processor and the same RAM capacity. Apps load quickly on the Z10 and multi-tasking is smooth. 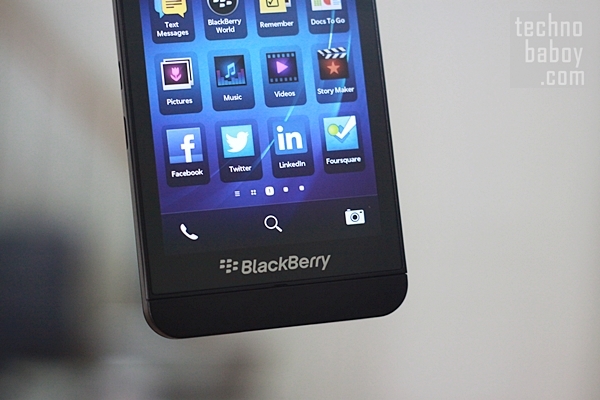 The BlackBerry Z10 offers a different experience because of the BlackBery 10 OS. The operating system uses gestures to navigate the phone. This is of course on top of the traditional on-screen buttons and menus. What’s most noticeable about BlackBerry 10 OS is the absence of a home button. There are home screens for apps but there is nothing similar to the app drawer on Android. There are also no widgets, just oversized icons for apps and much larger screencaps of running apps. In navigating BlackBerry 10 OS, you start with unlocking the lock screen through an upward swipe and you land on your main homescreen. Swiping to the left reveals more icons of your apps while swiping to the right brings you to the multi-tasking screen and swiping further shows the main shortcuts to some of the most used features of the phone like BlackBerry Hub, Messages and others. If you swipe from top to bottom, settings shortcuts are revealed but this is only available on your homescreen and not when you’re on a running app. BlckBerry 10 OS is actually easy to learn and as an OS, it gets the job done. The OS is surprisingly light and there are preloaded apps that make the Z10 ideal for business use. And speaking of apps, the number of available apps on BlackBerry World is quite limited when you compare it with the number of apps on Android and iOS. The most basic and most popular apps are on BlackBerry but a lot are missing. The app store will have more apps eventually but right now, it’s playing catch-up with Android and iOS. Battery life on the Z10 is decent but it’s not excellent. The Q10 has better battery life but it’s understandable since it has a bigger battery and a smaller display. The Z10 lasts about 10 hours on continuous use with the Wi-Fi occasionally turned on. If you use it sparingly, you’ll get longer battery life. The camera on the BlackBerry Z10 captures good photos but they are not the best shots from a smartphone. They’re pretty decent though and the camera is actually good in low light situations thanks to the backside illumination feature of the phone and the F2.2 aperture on the phone’s lens. The scene options are limited to Auto, Action, Whiteboard, Night and Beach or Snow and the shooting modes include Stabilization, Burst and HDR. The Z10 also takes 1080p videos so if moving photos are your thing, this is something that could be useful. 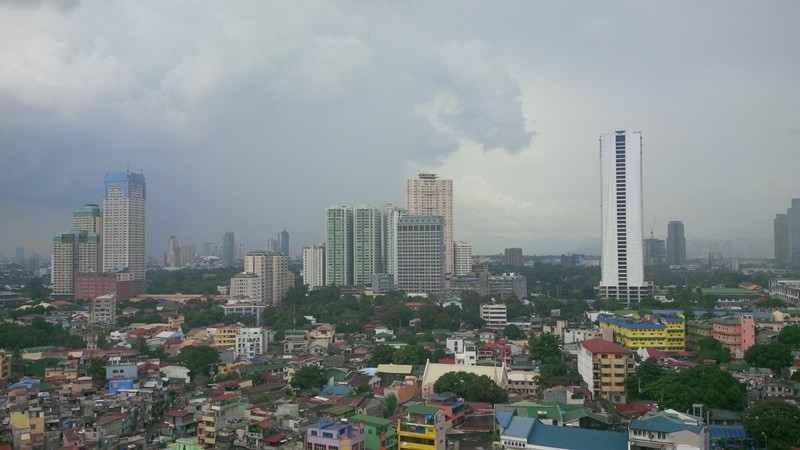 Here is a sample photo taken with the BlackBerry Z10. The BlackBerry Z10 is a complete device. It has the features necessary by current standards. It has good connectivity options like NFC and an LTE version is even available. It also has a good set of hardware and packs one of the best displays on a smartphone. BlackBerry 10 OS is also something of a revelation, being snappy and intuitive at the same time. If this OS came out a couple of years ago, BlackBerry would have been wildly popular. But under current circumstances, it’s hard for BlackBerry 10 OS to get noticed. It’s good, alright, but what BlackBerry needs is a good marketing push that would make people notice the platform. It wouldn’t hurt if it offers new devices with cheap price tags. As it currently stands, the BlackBerry Z10 which costs Php30,990 in the Philippines is priced quite prohibitively. This price will definitely go down eventually but until it does, only a few people will look at the Z10. Which is a shame really since it offers a good alternative to Android and iOS. As a flagship device, the BlackBerry Z10 delivers but there is still a question if this is better than the best Android or Windows Phone smartphone or even the iPhone 5. 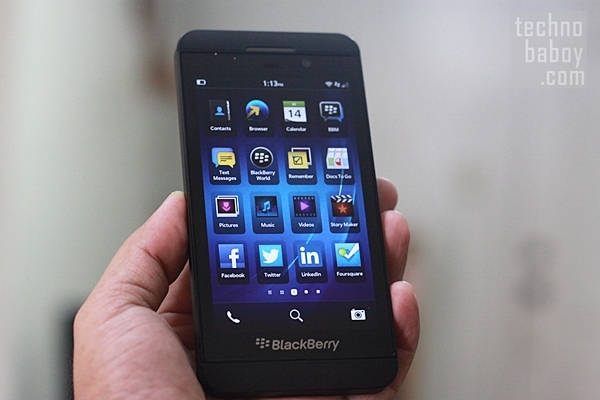 If you’re looking for a smartphone with good hardware and a different OS, the BlackBerry Z10 is worth looking into. this review is late already… you should review nokia lumia 925 or nokia lumia 1020 or sony xperia ZR, ZL, L, SP, up coming Sony xperia Z ultra, Samsung Mega, and S4 zoom. You have to understand that it’s not easy to get review items.